I grew up fast, as the oldest child in a single parent family. But, when I became a mom of two when Caleb was born and big brother Josh was three, I wanted to “do it right”, to be a good mom. So, I signed up for a “Mom Mentor” at my church. I didn’t know who I’d get matched with, but they paired me with “Betty”, a voice I spoke on the phone with once a week, to share prayer requests. “Do you feel joy when you do those things?” Betty asked. “Well… no. But I’d feel guilty if I only did things I wanted with my kids. Seems selfish. Plus, then my kids will turn out to be nerdy like me and maybe they need to be exposed to other things I missed out on that ‘regular’ families get to do,” I replied. This simple conversation changed the heartbeat of my parenting, because I realized that my identity as mother was not based on what I did – but on who I am as God’s beloved. I made the mistake of erasing my true identity to adopt an image of motherhood – instead of embracing who God made me: an introvert at heart, with my unique interests, as well as dislikes and preferences. This isn’t just about motherhood – but about who we are in this world. God’s beloved. I realized prioritizing my well-being was something God welcomed & I began to explore something new: soul care. I began to prioritize my emotional and physical well-being. I researched tips through scientific studies and the Bible – different ways to spark joy, restore calm to my body, and refresh my spirit, so can I refresh my family too. I started giving myself permission to grow in my true identity as God’s beloved. Embracing my introverted heart! 1. Meet with a friend for coffee & share how you’re feeling. Notice how you feel better after talking about your troubles — even if the problem hasn’t been fixed? Research shows depression is eased, anxiety is reduced, and people bounce back sooner (resiliency) when people share their stories and talk about how they feel (rather than just describing events that happen). As an introvert, I learned 1-1 with friends aren’t fun for me – research shows heart-t0-heart conversation is good for our emotional well-being and helps boost happy hormones! Don’t think about it. Just put on your shoes and go. You’ll return refreshed! Studies show that just 10 minutes walking refreshes and helps with anxiety — depression in school, work, and everyday life. Grab a piece of paper and start writing about what’s important to you, your feelings, and worries. You’ll feel better! Studies show you don’t have to “keep a journal” to reap the benefits of writing. Research shows just 10 minutes writing makes a difference, leading to behavioral changes and improving happiness. Behavioral research at Rutgers University found that simply looking at flowers improves emotional health. The presence of flowers triggered happy emotions, increasing feelings of life satisfaction. Flowers are a natural mood enhancer! Today, when stress grips you and you’re tempted to solve it by being busy, stop to enjoy what brings you peace and joy. Be the real you. God’s beloved. Thank you, Sweet Friends!! You’re Amazing! Wow! 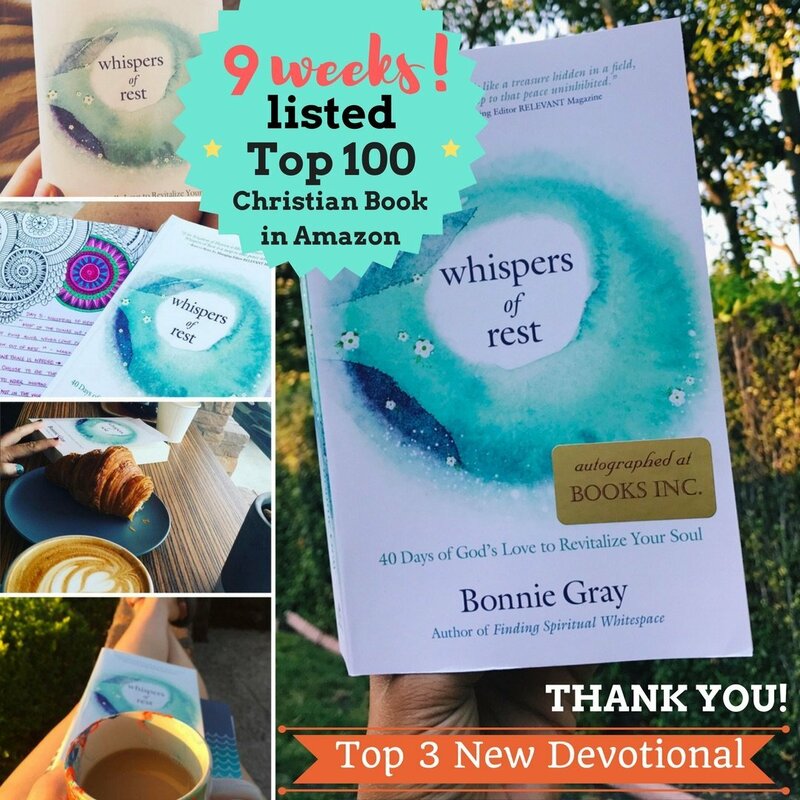 Whispers of Rest is ranked Amazon.com’s Top 100 Christian Book *for NINE WEEKS* straight since it released in May! AND #WhispersofRest ranked Top #3 of ALL new devotionals selling on Amazon for FOUR weeks!! You did this! THANK YOU for taking this book t into your hearts & hands — and spreading the word with your friends and in many cases, gifting multiple copies! Keep sharing friends! 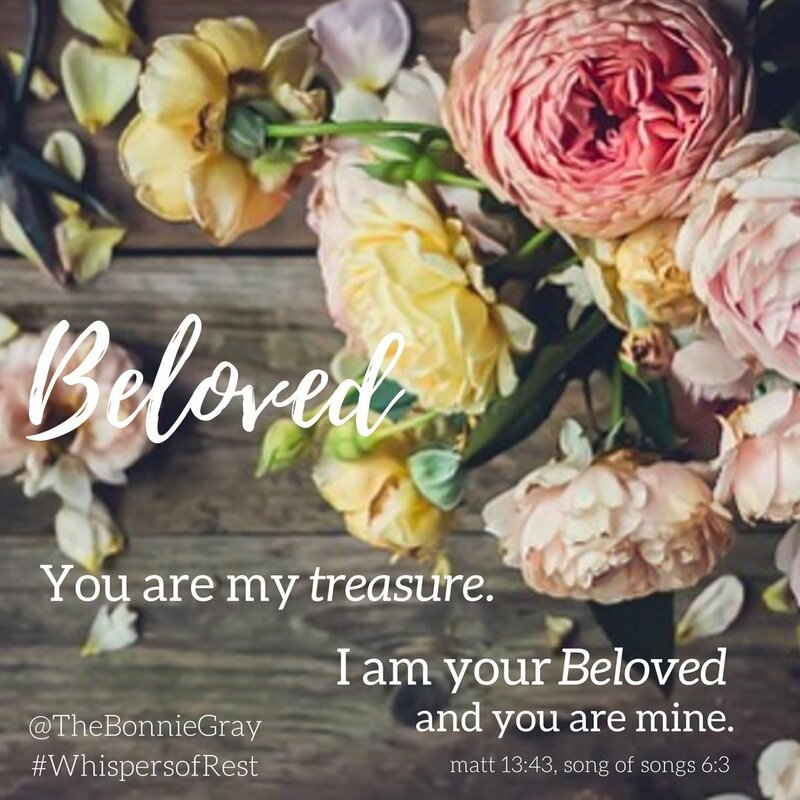 God is using you to give wings to #WhispersofRest & send His love through this book! 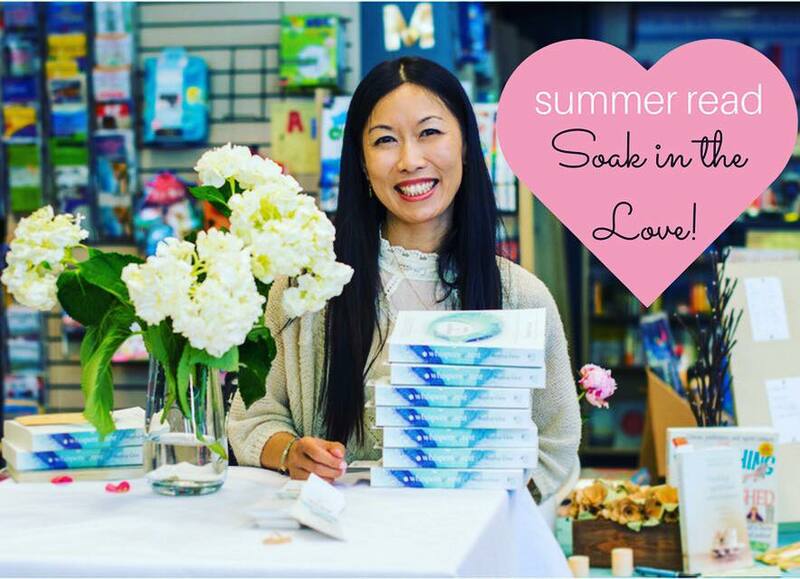 It’s been so AWESOME to see you post photos on Facebook & Instagram of where you’re taking the book #WhispersofRest into your summer! I’m so grateful reading this book has become a MOVEMENT to #rest,#soulcare and #bethebeloved! Join us & Soak in sunshine for your soul! And download Free Resources to spark joy! 🖍6 Coloring Pages + more! Pull up a chair. What are simple ways that help you spark joy? Click here to comment! I’d love to hear and it encourages us with ideas! I loved reading your book, Whispers of Rest so much, but I think I loved your emails each day even more. You helped me to learn to enjoy my life so much more by doing just simple things like sitting and watching the trees blow in the wind or taking a walk or looking at the beauty of the flowers in my flower beds. I thank you for all that and I miss looking for your email each morning. You have helped me learn to enjoy my life more than I used to. 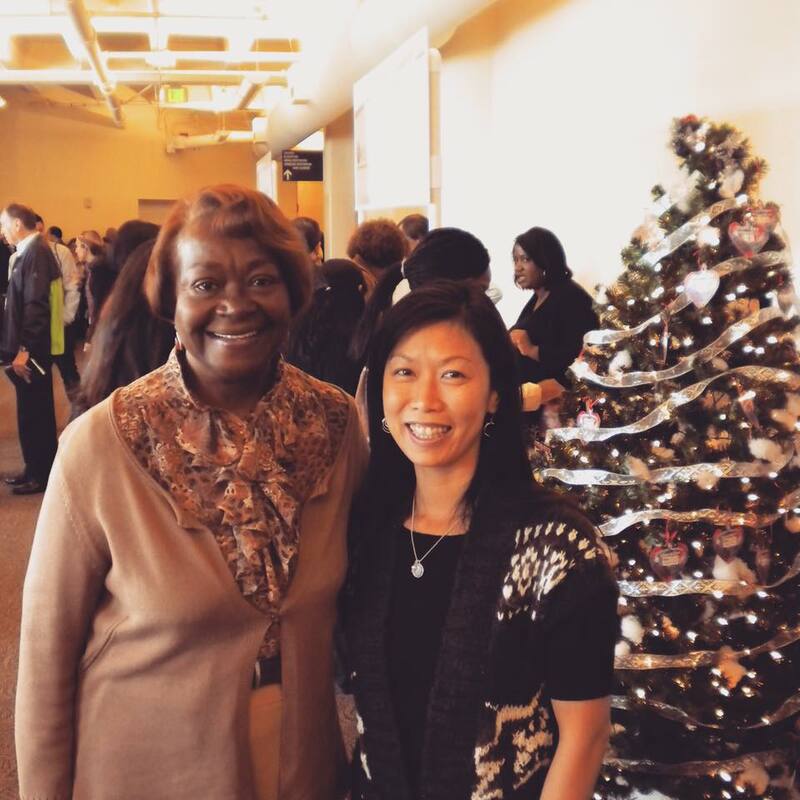 What a wonderful lesson from Betty on motherhood, perhaps your next book should be about mentoring mothers. I have only been mama to daycare children but I shared Jesus with them and books art and puzzles. Okay, I scrapbooked and made cookies with them, I have the best mother, going strong at 73. She has custody of two great grands. People who adopt or do foster care would benefit from this advice, sometimes these children are harder to get through to. You are a blessing, Bonnie, thanks. That Betty is a wise woman! Too often motherhood is viewed as a to-do list: play with the children–a lot, take them to places like the library and museums, bake and cook everything from scratch for maximum nutrition, keep a spotless, germ-free house, and create those quintessential scrapbooks for each child, each year. Betty’s advice takes a great deal of (peer-induced) stress out of motherhood: “Do what gives YOU peace and joy. Then your boys will be blessed by what God wants to give them through you. God gave them to you because you’re the perfect match for them.” What a breath of fresh air for mothers everywhere! Thank you, Bonnie!